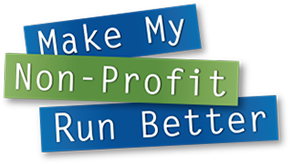 CHAMPAIGN, Ill. (July 11, 2016) – A total of 44 Springfield and Champaign area non-profits have entered the 11th annual Make My Non-Profit Run Better contest for a chance to win a portion of $60,000 in office technology prizes from RK Dixon. RK Dixon, a leading providers of copiers, printers, IT services, managed print services and pure drinking water systems, is now giving the public a chance to support their favorite non-profit organizations by simply casting their votes online at www.MMNPRB.com. The first prize winner in the “large” non-profit category will receive an office technology makeover valued at up to $30,000. The second prize winner will receive an equipment package valued at up to $10,000. The first prize winner in the “small” non-profit category will receive an office technology makeover valued at up to $15,000. The second prize winner will receive an equipment package valued at up to $5,000. The first round of online voting will end on July 15 at 5 p.m. The public may vote for one small non-profit and one large non-profit per device per day at www.MMNPRB.com. The second and final round of voting will begin July 25 and will narrow down the top five finalists in each category to the winning organizations. The winner of the Make My Non-Profit Run Better contest is scheduled to be announced Aug. 4. RK Dixon is partnering with WICS-TV for this year’s Make My Non-Profit Run Better contest. RK Dixon is a leading provider of copiers, printers, managed print services, IT solutions and pure water drinking systems in each of the business communities it serves. Founded in 1983, the company retains a highly trained and tenured staff, and provides its customers with products boasting over 99 percent uptime. RK Dixon, along with its sister company, Premier, serves more than 120 counties in Iowa, Illinois and Wisconsin with office locations in Davenport, Marshalltown, and Urbandale, Iowa, and Bloomington, Champaign, Peoria, Rockford and Springfield, Ill. In April, 2011, Premier was acquired by Global Imaging Systems (GIS), a Xerox Company (NYSE: XRX).